The Memorial Tournament presented by Nationwide hosted the fifth annual Legends Luncheon presented by Nationwide, a unique, award-winning fundraiser that brings to life the alliance between the Nicklaus Children’s Health Care Foundation and Nationwide Children’s Hospital. 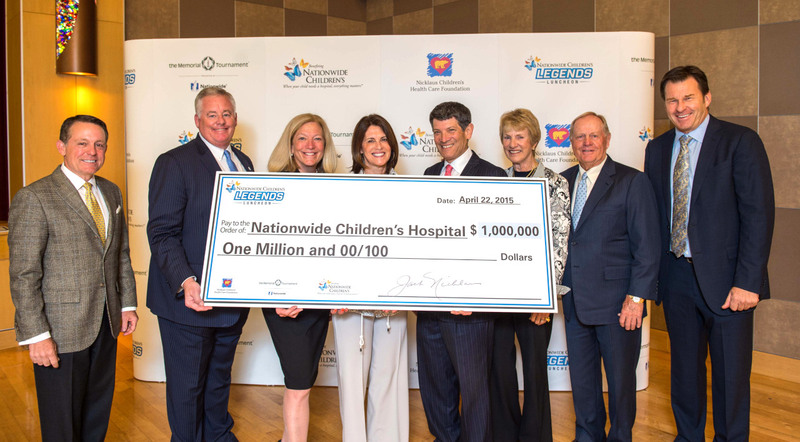 This year’s Luncheon raised a record $1,000,000 for the Nicklaus Children’s Health Care Foundation and Nationwide Children’s Hospital alliance. The 2015 amount equals the largest single-year donation in the event’s history and brings the Luncheon’s five year total to $2.9 million.